1. 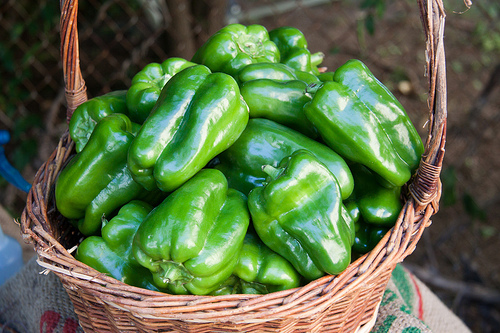 Select fresh, mature green pepper with deep green color. Wash them very well in running water. 2. Cut in halves, remove seeds, placenta and stems. 3. Slice into 2 cm. size thick before blanching. 4. Spread on a sinamay or nylon cloth (not thicker than 2 cm.) before steaming. 5. Dip in 5% salt solution for 30 minutes. 6. Blanch steam for 2 minutes. 7. Dry at a 60°C-65°C for 7-8 hours. 8. Pack in plastic bags.